Read all about Austin Seminary in our alumni magazine. In addition to the latest news about Seminary events, faculty, alumni, and students, Windows also contains feature articles of interest to the church. 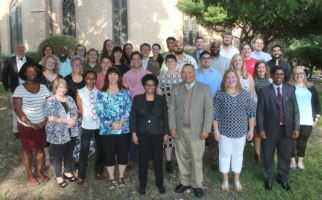 Get the latest news from Austin Seminary in our digital monthly eNewsletter. Features on events, students, faculty, and alumni can be sent directly to your inbox. 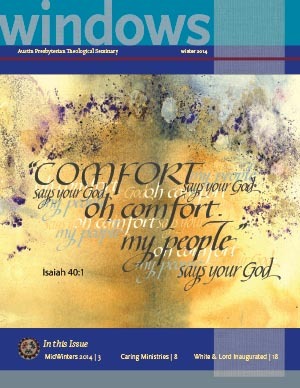 Communitas is an annual publication of Education Beyond the Walls at Austin Presbyterian Theological Seminary. 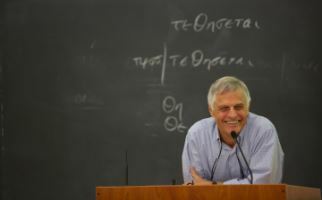 Insights is the bi-annual faculty journal of Austin Seminary, providing a forum for Seminary professors to share their thoughts and research with the academic community and the church at large. Insights features responses to articles written by other scholars or ministry professionals from around the world, as well as book reviews by Seminary faculty and a regular column relating faith and theology to contemporary culture. 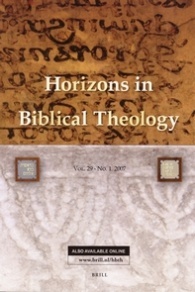 Horizons in Biblical Theology publishes articles that address all aspects of the relationship between biblical studies and theology. This includes traditional historical readings of biblical texts, thematic studies within biblical texts and theology, explorations of methodology and hermeneutics, and even readings from within confessional traditions. The journal is edited by Margaret Aymer, The First Presbyterian Church, Shreveport, D. Thomason Professor of New Testament Studies, and is published bi-annually. Let us know if you if you have a change of address or comment on the publications.